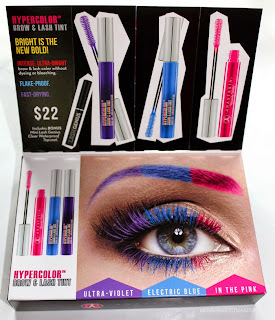 It was almost as if they were reading my mind because right as I was wearing my Oxblood Mascara Experiment the new Anastasia of Beverly Hills HyperColor Brow & Lash Tint's arrived! The latest addition to the HyperColor family are an intensely pigmented neon-ombre brow gel that doubles as a curling mascara with a vividly-bright finish. The inside promo photo resembled the Ombre Brow look I did awhile back with the Hypercolor Brow Powders. If those were any indication, I knew the tint's would be full-on-color amazingness too. The shades are Electric Blue, Ultra-Violet, and In the Pink. Each come with their own bonus mini Lash Genius Top Coat to instantly set and waterproof your brows and lashes. A run through of all 3 of the colors through the brow's. 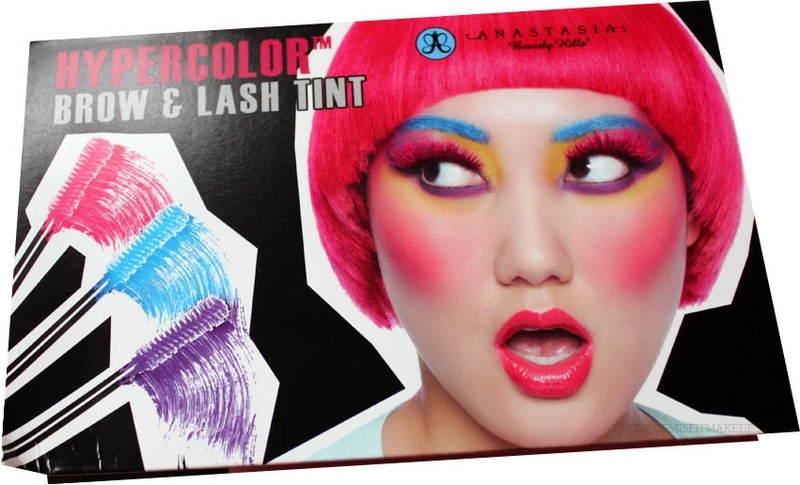 Much like Anastasia's regular brow gel's, these set the brow's firmly in place with color grabbing to the hairs. The hyper color powder's were softer and more natural looking, while the tint's completely coat and seal the brows. Unless you have brow's that don't require any filling in or shaping, you'll want to apply with an angle brush for the best results. The color intensity is crazy good, but by the second coat they got a little clumpy and had a stiff plastered down feeling. 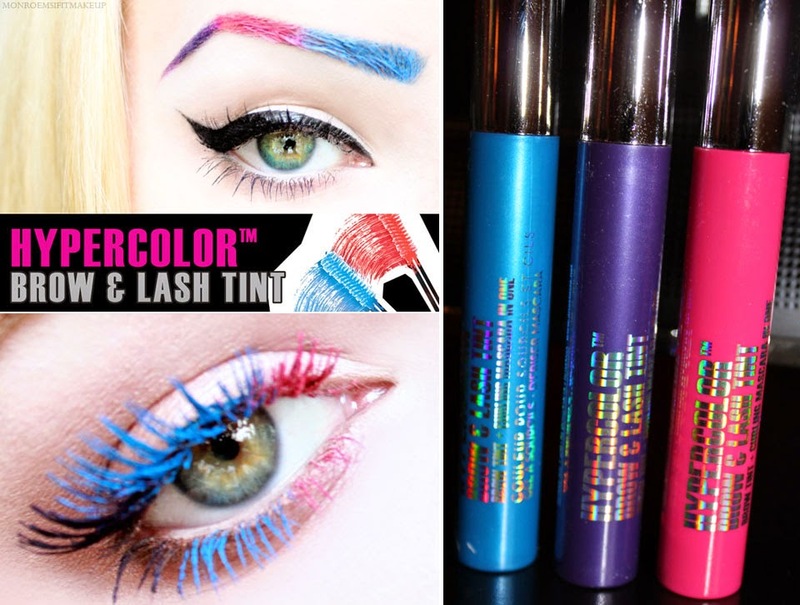 To get intense saturated color on even the darkest of brow's I would wear them in conjuction with the hypercolor powders, using these to set the color and shape. 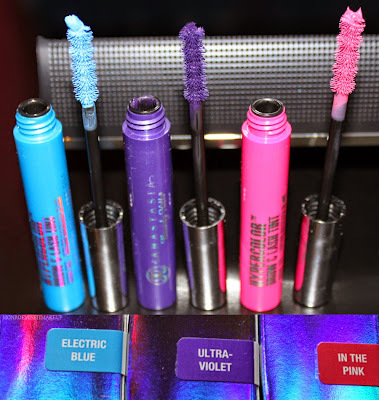 As a mascara they're awesome! 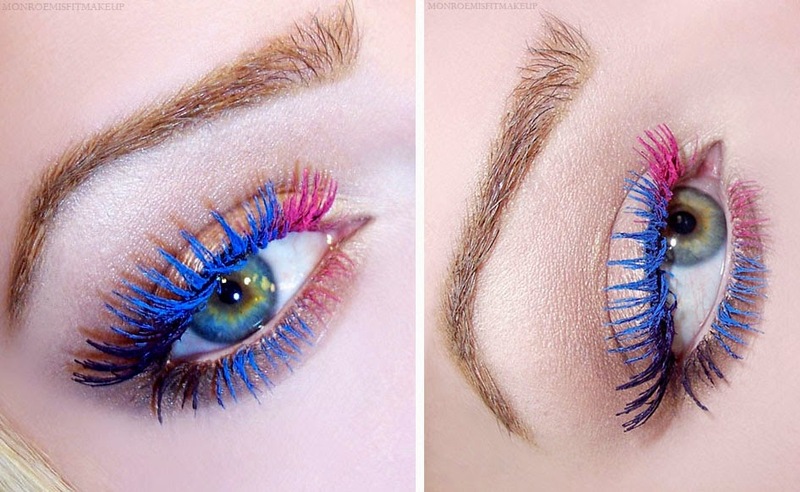 The color really stands out, especially Electric Blue and In the Pink. I was a little heavy handed, but even with just one coat the pigmentation and coverage is excellent. Aren't these fun? Can't wait to put them to play in some looks. 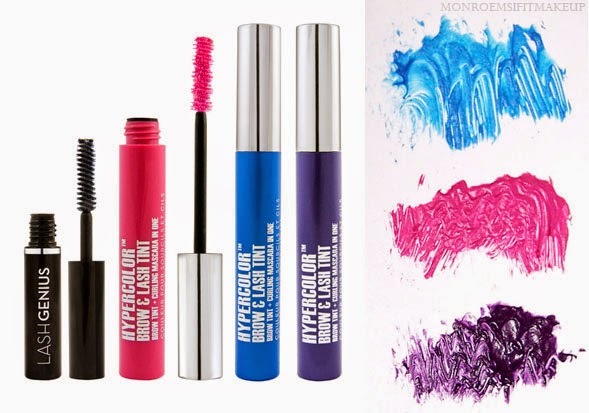 HyperColor Brow & Lash Tint ($22) have just launched at Anastasia.net.